For starters I did the book’s prologue which lasts only a few pages, but I gave it a serious effort with several iterations of editing to polish it as much as possible. Though there are a few places that I feel are not ideal, overall I’m satisfied with the effort. At some point during this process I felt that translation was my “tenshoku”, which means something like “calling from heaven”. I think it would be great if I could someday making a living doing something like this. Keep in mind this translation is completely unofficial, and is in no way associated or endorsed by the original work’s author or the publisher for any of the Candy Candy books, manga, or anime. If you enjoyed this, please consider buying these, or write a letter to Keiko Nagita asking to speed up the process of making an official English version (I’ve heard uncomfirmed rumors they are working on one). To avoid getting into trouble with copyright laws, I will not give the original Japanese text, only my English translation. 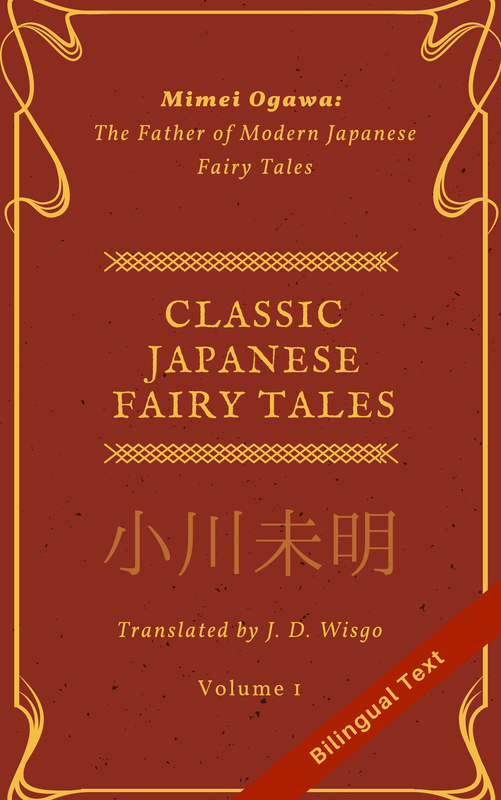 If you are studying Japanese and think you might enjoy this book, please consider buying the original work here and here. You can read my review of it here which gives some history about the Candy Candy series in general. This was an extremely fun process, and I learned so much in doing it that I’m eager to find what to work on next. If you have any suggestions or requests please let me know. I’m open to doing more of this novel (and have even started on the next chapter), but realistically I don’t think I would ever translate the entire work, unless by some miracle I was given permission to make an official translation. Corrections or critique on this translation are also welcomed. Writing this name on the white stationery paper triggers a warm surge of emotion in my chest, and I lay down the pen. I exhale deeply, a sigh of relief and gratitude. Without thinking, my hands fold themselves tightly in prayer. … and send my prayers along with the letters I wrote to Miss Pony, day after day. Pony’s house, as we always called it, is very far from here. I’ve never hated this distance more than I do now, spanning a vast ocean. My only desire was to be at her side, to care for her, and encourage her back to health. I leave the page as it is — blank except for Miss Pony’s name — and begin rereading the letter from Miss Lane. The worst was over for Miss Pony, and she was on the road to recovery, said the small characters of the letter. They seemed to dance on the page, reminiscent of her warm smile. I just can hear your voice saying this, so I’ll include a message from Miss Pony. Once she recovers a little more, you’ll surely receive a much longer one from her. I have reread Miss Pony’s brief letter many times over, and each time brings me to tears. Candy, I know I’ve worried you terribly. I still have so many things to do for the children. I’ve also decided I must see you once more before I die. Surely, God will listen to my prayers and permit me to do this. I trace my fingers gently against her signature. Without a doubt, the large, rounded characters possessed the warmth of Miss Pony. Although they lacked her usual energy, I could almost hear her voice, smelling of freshly made pancakes. Mumbling her name, I couldn’t help but smile. I learned of her real name only after I had become an adult. Miss Lane gestured in repentance again and again – a funny habit she had whenever the topic of their names came up. I can just picture Miss Lane, looking towards heaven as she prays for forgiveness. The warm fireplace at Pony’s house. Firewood crackling. Miss Pony, sitting in an old chair. Miss Lane passes me a cup of steaming cocoa. Miss Lane tries to warn me, but it’s already too late – I’ve just put my mouth to the cup, mumbling “ouch” as I pucker my lips.It’s a scene from one of my most treasured memories of winter. Miss Pony, now smiling at me. The taste of marshmallows roasted in the hearth. Outside, it’s snowing. The adjacent building where the children were was quiet, but I knew the truth – not a single one of them was sleeping. They were waiting eagerly for the snow to pile up. Once we were fast asleep, the children would probably sneak outside and build a giant snowman, hoping to surprise us in the morning. After all, I did the same when I was their age. Annie, Tom, and I would wait for enough snow to fall, late into the night. We’d do anything to keep from falling asleep, even pinch one another. I’m very grateful to my parents, who abandoned me at Pony’s house when I was young. Thanks to them, there is a place where I can always return to, a place to call home. I stood up from my desk and slowly approached the cabinet. There stood oil painting “#10”, enclosed within a handmade frame. My love had placed it so it could be seen from anywhere in the house. Several years back, he had found the painting in a London flea market. Oh, what a wonderful gift it was. With only a quick glance, he had picked #10 from a pile of old paintings, knowing immediately it depicted Pony’s house. It wasn’t just any picture – it was a complete view of Pony’s house drawn from the perspective of the large hill nearby. I stood before the painting, gazing into it’s depths. In one of the corners was an unobtrusive signature, barely visible. When I first discovered that name, I felt my heart would burst. Slim was half Caucasian and half African American, with grey eyes that reflected an inner sadness. Without fail, he would begin to cry when the sun went down. I remember Miss Lane – the one who decided on the name “Slim” – saying this with a touch of sadness in her voice. Slim was extremely shy around most people, but became quickly attached to me. When the morning came, he would softly nudge me and purse his lips in a silent admittance of guilt. Slim had a habit of bed-wetting, and even though he did his best to clean things up, apparently the Mothers all knew what was going on. Slim, always skinny and looking frail. Slim, who did nothing but draw pictures. Suddenly, a vivid memory of Miss Pony whispering this came to me. When I had returned to Pony’s house, Slim was no longer there. The word was that he got adopted by a blacksmith in a distant city. Slim ended up in a life where art had no place – something the Sisters deeply regretted. With a fine, delicate touch, Slim was the only person who could paint Pony’s house in a way so real that you felt you were almost there. Since then, the house has developed and become much larger. To this day, I still don’t understand how a boy adopted by a blacksmith had painted a picture that somehow ended up in London, thousands of miles from America. All I knew about Slim’s life was that it was a very bumpy road. Just like mine. Candy, this coincidence is surely a miracle from God, sent to cheer you up. Take great care of this picture. All of us are within in it. Candy, we’re always watching over you. I’m sure that Slim and the others are somewhere in the picture too. Please keep this with you wherever you go. This was Miss Pony’s encouraging response when I told her about discovering Slim’s painting. For some time I had been considering sending it to the Mothers (? ), who had spent so much time worrying for Slim. I think the Sisters had somehow knew it – I was the one who truly needed this painting, needed a place I could always return to. Even though we are so far apart, Pony’s house is always in my living room. Still, I can’t help but feel that Slim had painted the picture especially for me. It was a lovely day in May. Buttercups and white clovers covered Pony’s hill. Anyone who climbed it was greeted with a spectacular view of Pony’s house, surrounded by a lush, green forest that dazzled the eyes. Long, soft grasses swaying in the wind. Lupines and sunflowers in many bright colors adorning the yard. It’s as if at any moment, the wooden door will open with a creak, mischievous Tom bolting out with Miss Lane close behind. On the day my life completely changed. The day that Annie was adopted by the Brighton family. Time winds backward in a flash. Thank you very much! I first read the manga as a child more than 25 years ago, I still find it legendary and incomparable! Ever since I knew about the novel version, I have been hoping that translations will be made available for non Japanese speakers. I look forward for your next entries and translations. Thank you again! Thanks, that is very valuable information! I’ll have to correct my usage of ‘Reine’ to ‘Lane’. Thanks for the comment! I’m glad to find a Candy Candy fan who was able to appreciate this. Thanks! Good to know there are more fans interested in CCFS translations! Hello. I am very glad to have discovered an English translation of the Candy Candy novel, even the prologue and the first chapter. Could I please have your permission to translate that in Greek, my native language, to post it in a Greek Candy forum? I have voted for you to translate the rest of the novel in English. Thank you very much. 1) Mention that this is an *unofficial* translation, not endorsed by the author or publisher. Make sure you identify the original author clearly. Thank you for your permission. I’ll do all those things you recommend. It’s a wonderful gift for all Candy fans. I hope there will be more of it some time in the future. hi locksleyu, i like so much “Candy” since i was Young !!! i can’t read this English translation of the story written in 2010 because “Orange link” requests money for charging this story !!! how to do to read this story so ??? Thanks in advance ! Hello Isabelle. Thanks for the comment. I am not sure what “Orange link” you are referring to but the only Candy Candy I have read is the Japanese novel for which I have the actual physical books I bought in a Kinokuniya bookstore. If you search around online maybe you can find a Candy Candy-related message board and ask your question there. An unbiased translation of CCFS! Oh! What an amazing new! Many thanks for sharing your great job with us! In your translation, What do you mean by “#10” in oil painting “#10”? I would want to share it on my own blog by quoting you if you don’t mind ? And may I translate your text in French ? There is no official French translation either. whatever your answer, Thank you, thank you, thank you!!! I look forward for your next posts and translations. As for your question about the “#10” oil painting, I don’t have the book in front of my now so I’ll try to respond to that later. I think #10 refers to the number Slim had done. It’s common in an art work that artist giving number to their work. Therefore I assume Slim eventually managed to paint some real paintings ( not just a sketch or drawing on a book), either for a living or just pouring his uncaged passion in drawing. And the one belong in Candy’s living room was his tenth (canvas) painting. I may be wrong. Pls locksleyu, CMIIW. **the number of paintings Slim had done. Yes, I agree with this interpretation. Also, I think sometimes this number is used when the artist doesn’t want to give a title using words, but still needs a way to identify the piece. That allows the buyer to have their own interpretation, a little like a certain book we all know. Thank you my dear Reeka, locksleyu for your insight, it’s what I had in mind but I wanted to be sure. Wow … you know, my heart was pounding hard while reading the prologue. Believe me, I’m not exaggerating. I’ve read other versions of translation many many time, but reading yours, as I know that you’re unbiased, got me different sensation. Thank you! I read Candy Candy as a child and I am still intrigued about what happens to her today. I hope you’re translating this to the end. Thank you again. Anyway, one thing I’d like to point out is that you have translated 大きく to “completely” (the day Candy’s life changed, the day Annie was adopted, etc.) I’d suggest “significantly”, which is probably closer to the meaning. Thanks for the comment and good to know there are more fans interested in my CCFS translations (: Also, you are right that “significantly” is literally closer to 大きく. However, based on the things that happened after that I think “completely” may still be a better choice. In any case, if/when I do more translations of CCFS I will revisit this and see what makes more sense. I can promise you that my translations are done completely apart from who I believe “あの人” is, and especially in this case the identity of that person is not related to my specific choice of wording; just because I chose “completely” in this case doesn’t mean other things in her life aren’t or can’t be more important. However, as I mentioned you do have a good point and I may change my wording in the future. By no means my translation of this chapter is a ffinished product and is always open to modification. But to your last comment – Actually yes, I choose “completely” partially because Annie’s adoption was a huge event in Candy’s life (I don’t think there is any doubt of that), and also because I feel that event is the start of a chain of events that make up the story. Please don’t get me wrong, locksleyu. I didn’t mean to challenge you or anything. Anyway, may I quote you and link to your post? Thanks! Sure, you can link to this page no problem, but please make sure you mention it is unofficial. Also, if you don’t mind please don’t quote any of the translation since there is a chance I would change it in the future. Thanks! Merci de traduire CCFS du japonais à l’anglais, pour nous français cela nous permet d’avoir une idée sur le contenu du roman. J’ai hâte de lire la suite. Merci pour ce travail titanesque. OMG have i finally found a translation to CCFS?! Can i finally get a propper ending on Terry and Candy? I am willing to wait for as long as it takes! Hello, I’m very excited and about to begin reading, just wanted to leave a thank you! That’s amazing of you to have translated even a little part of it! I watched and rewatched Candy Candy’s episodes dozens of times and I was dying to read about the continuing story. I was so desperate that I would picture the final story out of my childish imagination. It’s so good to learn more about her, I’m so glad! Thanks for the nice comment, glad you enjoyed it! Finally a decent and articulate translation. I have read other translations, of parts of the CCFS and most of them didn’t make sense to a reader of some knowledge of the english language. I guess people have tried their best, but I was always wondering how it is possible that none of the japanese native speakers, who had read the CCFS, know good english. It still remains a mystery. Translating into a language that is not one’s native language is very difficult, and though I can read Japanese I think it would be very hard for me to translate anything in to completely natural Japanese.